Where did Naruto get his money from? Well, I know this is kind of a weird question. In episode 176 of Naruto Shippuden, when the village's history is shown, we see that everyone hated Naruto, and even his homeroom teacher (Iruka) didn't understood him. He was upset, and Teuchi of Ichiraku Ramen asked him to have some ramen, but he said "I didn't have money for it". I thought a lot and was unable to figure out where he got his money from? He didn't have his missions at that time. 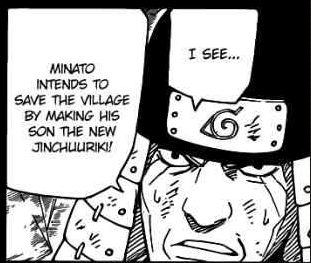 TL;DR The Third Hokage, Sarutobi Hiruzen, looked after Naruto, in accordance with the Fourth Hokage's wish to have the village see Naruto as a hero. Sarutobi saw the Fourth Hokage's deed as a heroic sacrifice (especially in the light of the spoiler-text above), and took up the responsibility of fulfilling the Fourth Hokage's wish. Naturally, that includes paying for the orphan child's expenses until he is old enough. Hence, although nobody explicitly stated that the Third Hokage looked after Naruto's expenses (room rent, food, clothes, etc. ), it is obvious that this is what happened. 1 This also leads to one of the many plotholes in Naruto's childhood story: Naruto has said a few times that Iruka-sensei was the first person who cared for him, and before then, his life was a hell of loneliness. Why didn't Sarutobi treat him with a bit more warmth from the beginning, especially when he knew who Naruto's parents were? As we all know that Third Hokage, Sarutobi was always there for orphans especially those whose parents were shinoubi and had died for Konoha , such a case can be seen for Iruka when he was child and had lost his parents as in Episode 144 of Shonen Jump ,in Mizuki's flashback. Same was the case with Naruto for his father , The Fourth Hokage had also used the forbidden jutsu, died and made his son a jinchurikki as to save Konoha that is why Naruto was given all economical support but the caring and love could not be given to him by Sarutobi because hokage is always busy in paper work and assembling of ninjas and could not spare time for that, the proof for that thing is when Lady Tsunade is made hokage she has bundles and bundles of paperwork to do so. That is how Naruto has money but still spends his life in Loneliness and Despair. Where did Tobi get his left eye from? How did Sasuke get his hawk summoning technique? Where did “dattebayo” come from? Where did Danzo get his first Sharingan? Why wasn't Jiraya able to use Sage mode completely? How many tails did Naruto get during his fight with Pain? Why did Naruto cut his hair?